LONDON (AP) — The animals can’t protest so people in London did that for them. Hundreds of marchers demanded better protection for British wildlife at the People’s Walk for Wildlife in Hyde Park on Saturday. Many carried pro-nature and pro-animal banners and placards and some wore animal masks. Organizers said the march was to raise awareness about the threat to species and habitats across the United Kingdom. #PeoplesWalkforWildlife @ChrisGPackham – “our wildlife needs us more than ever”. And the people today have turned out to show they are here for it. Singer Billy Bragg implored the crowd to put the environment “back on the agenda” despite the Conservative government’s preoccupation with its Brexit divorce from the European Union. Organizer Chris Packham has unveiled proposals to help Britain’s natural environment, including linking elementary schools to farms so children learn about food production. He has also called for an end to grouse shooting and dredging for scallops. My objection to hunting, trapping and seal clubbing is colorblind as well as culture-blind. I oppose cruelty to animals, no matter who is doing the shooting, trapping or clubbing. A victim doesn’t suffer any less because of the ethnicity or cultural beliefs of their executioner. 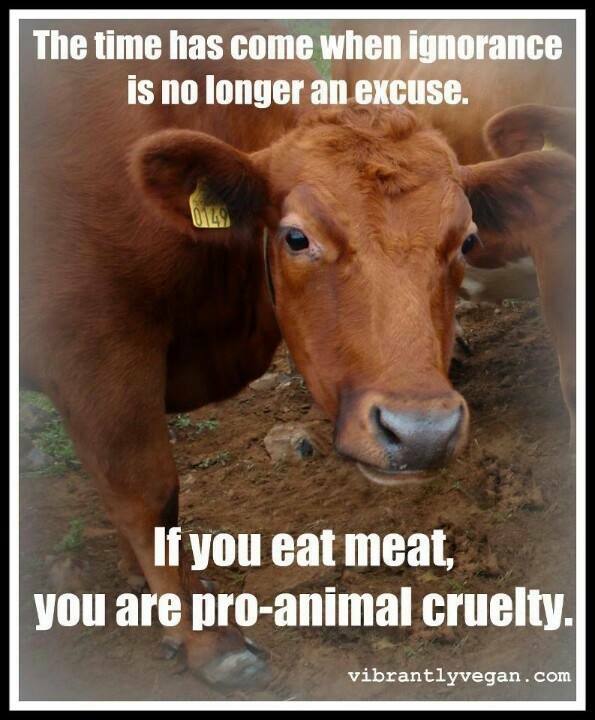 An animal’s right to a life, free from harm, trumps anyone’s right to exploit or kill them. I was wondering your opinion on the subject of animal rights vs. the rights of indigenous people. What do you think about hunting by Native American tribes, or the hunting of seals by the Inuit? Also, of course, the various other tribes around the world that have their culture based off of hunting. What do you think about their participation in hunting, trapping, etc? My objection to hunting, trapping and seal clubbing is colorblind as well as culture-blind. I oppose cruelty to animals, no matter who is doing the shooting, trapping or clubbing. A victim doesn’t suffer any less because of the ethnicity or cultural beliefs of their executioner. 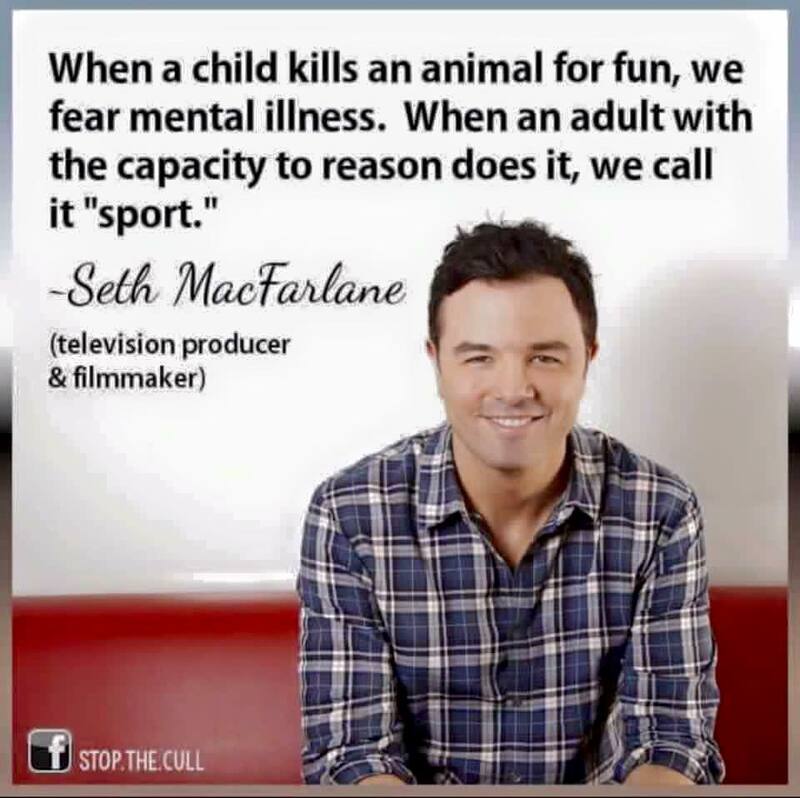 An animal’s right to a life, free from harm, trumps anyone’s right to exploit or kill them (unless someone is literally starving to death and has no other options, which is not the case for most who hunt, trap, club seals, harpoon whales or trade in bushmeat). Why oppose the Japanese or the Faeroese for slaughtering dolphins or pilot whales and not the Makah for killing grey whales, or even the Inuit for hunting bowhead whales? We’re all part of the species, Homo sapiens, and our ancestors all used to live by hunting and trapping. For better or worse, we’re all moving forward technologically, so there’s no reason we shouldn’t all move forward in our treatment of non-human animals. That’s my humble opinion, anyway. It might not be popular, but it’s ethically consistent. He refuses royal Boxing Day shoot tradition for the sake of animal lover fiancée. Prince Harry‘s fiancée Meghan Markle has had quite the influence on him already! As The Sun reported, Harry is skipping the traditional Boxing Day, Dec. 26, hunting spree with the other royals so he doesn’t upset Markle, a noted animal lover. A source told The Sun, “The Boxing Day shoot was always going to be a tricky issue [for Harry]. Meghan is a keen animal rights campaigner and doesn’t like hunting in any form. “Harry loves it and has always been out there on Boxing Day. But if it means breaking with long-standing royal traditions to avoid upsetting her, so be it,” the source said. If Markle was “not comfortable” with Harry taking part, he “wouldn’t want to upset her,” according to the insider. Now, Prince Charles and Prince William will participate in the shoot on the royal’s Sandringham estate without Harry. Harry, 33, and Meghan, 36, announced their engagement on Nov. 27. They have been thrilling the British public with appearances, but some have raised skepticism about Harry marrying a divorced American actress. There was also a royal scandal when Princess Michael wore a racist brooch to a lunch with Markle — and then had to apologize. Markle is bi-racial. The former Suits star loves animals and fights for their rights. She was recently devastated after her dog Guy, a beagle, suffered two broken legs. She had to leave another beloved pet pooch behind in Toronto to marry Harry. While Markle, as a royal fiancée, will spend Christmas Day at Sandringham with Queen Elizabeth and the rest of Harry’s family on Monday, the engaged couple will likely not even be seen at the hunt the next day! The other royals, however, should be keen to bag deer and other animals on Boxing Day as usual. The break from the shoot could give the Prince and Markle some time alone to plan their May 19 wedding! 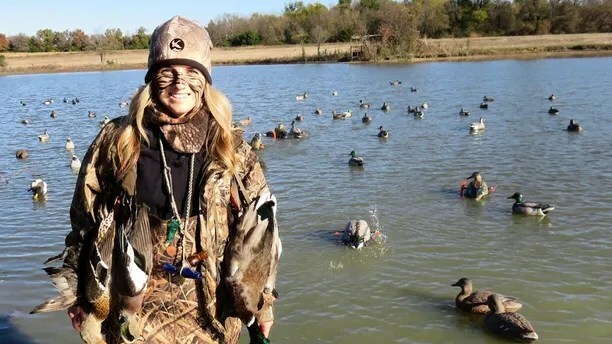 Hunter and advocate Nikki Tate has been feeling a little overwhelmed since an articleabout her love of duck and deer hunting went viral. 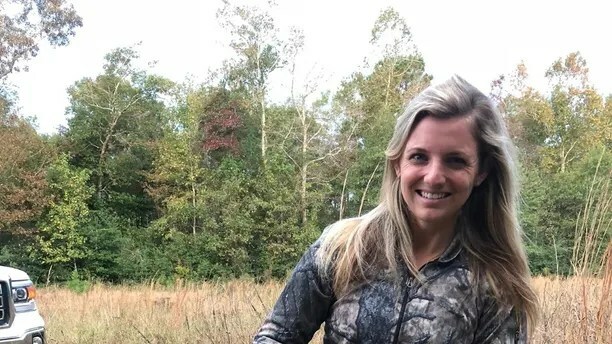 The 27-year-old lawyer had been receiving death threats through her Instagram, which showcases her hunting lifestyle. “People would send things like, ‘I wish I could do to you what you did to that deer,’ or ‘Karma is a b—-,’” she said. But Tate, who promotes ethical hunting, says the death threats weren’t shocking. “People have strong opinions and hunting is a trigger for a lot of people,” Tate said. 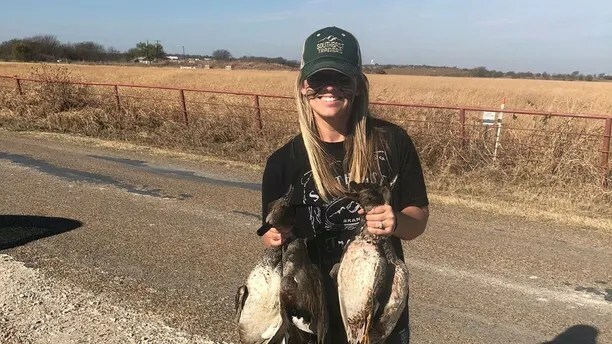 However, the hostile messages have paled in comparison to the outpouring of support she has received from the hunting community — after the article, her Instagram gained more than 2,000 followers overnight. “People have messaged me on Instagram saying I am a role model and inspiration, and thanking me for supporting conservation,” she said. Also outside of the death threats, her unexpected celebrity has started a respectful dialogue around hunting that she hopes will continue. 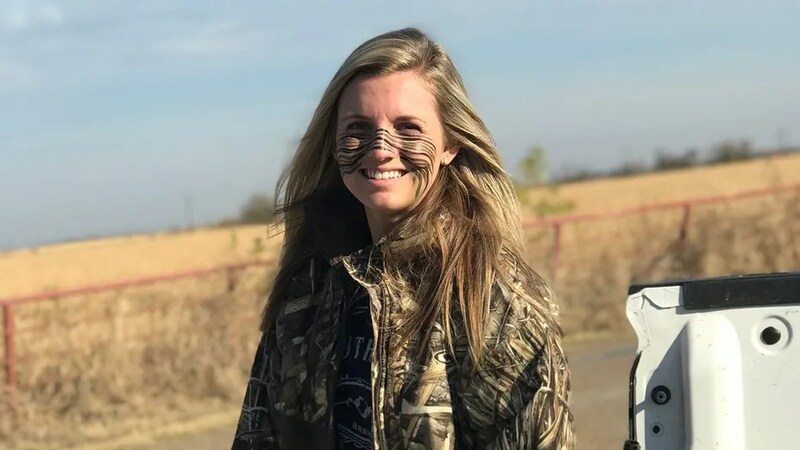 Now that she’s been pushed into the limelight, Tate says she wants to use the opportunity to further spread her message about conservation and hunting. I’m not blind to the world animals live in. Their reality is intertwined with my own. to describe the cruelty animals are shown. We’ve become numb to the feeling of love. the lack of empathy that I speak of. was a beautiful buck; lifeless and cold. I’m left with an indelible image to hold. The buck will serve as an emblem for all time. I must have witnessed this sight for a reason. that permeates the air in hunting season. and live a life that is never free of fear. Respect and Justice are our soul’s pillars. Let’s rise up and put an end to the hunting of deer. Practically three-in-four voters in five rural British Columbia constituencies are opposed to the practice. Vancouver, BC – The majority of British Columbians living in rural ridings oppose trophy hunting of grizzly bears, a poll conducted by Insights West on behalf of the Commercial Bear Viewing Association has found. The results, based on a telephone study conducted in late January, show that 74% of voters in five rural ridings with strong hunting traditions are opposed to the trophy grizzly hunt. The results align with a 2015 Insights West survey, where 91% of British Columbians voiced opposition to trophy hunting. This is the first in-depth poll carried out to gauge attitudes towards this issue in the Interior. The percentage of voters who are opposed to the trophy hunting of grizzly bears stands at 81% in Kamloops North Thompson, 79% in Boundary Similkameen, 78% in Fraser Nicola, 66% in Cariboo North and 65% in Kootenay East. The Commercial Bear Viewing Association represents the interests of bear-viewing operators in British Columbia. Its purpose it to develop guidelines and policies for the industry and make recommendations to government. It is calling for a ban on the hunting of grizzly bears in the province, a move that it believes would make environmental and economic sense. Insights West is a progressive, Western-based, full-service marketing research company. It exists to serve the market with insights-driven research solutions and interpretive analysis through leading-edge tools, normative databases, and senior-level expertise across a broad range of public and private sector organizations. Insights West is based in Vancouver and Calgary. Results are based on a telephone study conducted by Insights West from January 24 to January 31, 2017 among 400 voters in Boundary-Similkameen, Caribou North, Fraser Nicola, Kamloops-North Thompson and Kootenay East provincial constituencies. The data has been statistically weighted according to Canadian census figures for age, gender and region. The margin of error – which measures sample variability – is +/- 4.9 percentage points. View the detailed data tabulations. Service to use the said sonar under the Marine Mammal Protection Act. Tickets are $15 each and there is a smoked pork dinner. The guest speaker is a co-host of Inside Outdoors TV, based in Tulsa. This show began their 10th season this month. prizes to be given away. lesser prairie chicken didn’t warrant protection for biological reasons. the 1800s and its population by 99 percent. aside land to protect the birds.